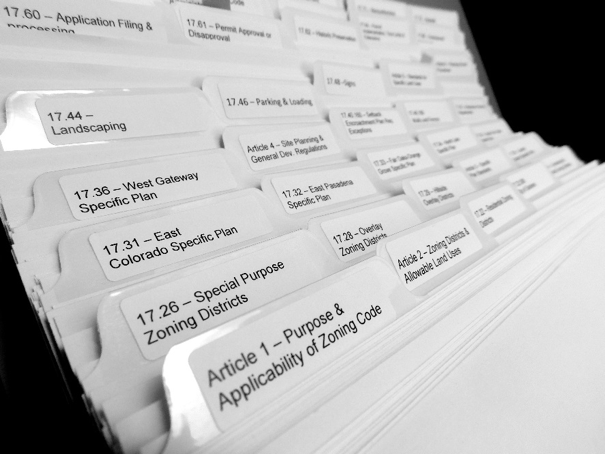 The Zoning Code is one of the primary tools for implementing Pasadena’s General Plan providing direction to those who are looking to develop their property, open a business, or redevelop or expand a home or business. As part of the program, the Planning & Community Development will undertake a focused update that concentrates on the Specific Plan areas and will implement the Specific Plans by detailing rules and requirements that regulate the size, shape, use, and placement of buildings, and much more, within each of the Specific Plan areas. The current zoning code is available online.